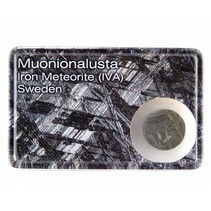 The Muonionalusta is a meteorite with a fine octahedrite structure, classified als a type IVA. The Muonionalusta is a meteorite with a fine octahedriet structure, classified as type IVA. 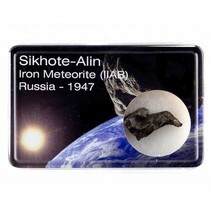 It is the oldest meteorite known so far and hit the earth one million years ago in northern Scandinavia. 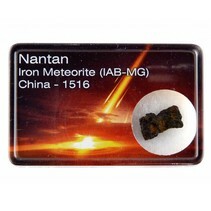 The meteorite has survived since then 4 ice ages and has moved several times during this period. The meteorite is almost certainly an asteroid. The meteorite is known for its beautiful Widmanstätten structure. This is the triangular structure which becomes visible after etching the meteorite. It took the meteorite millions of years to cool down. That causes this unique structures. They are therefore unique to meteorites and do not occure on earth as iron cools down much faster.